"What child doesn’t love a great story? Great stories never grow old! This is one book app that will never grow old, children will return to this amazing story again and again. It’s worthy of a Newbury for its drop dead gorgeous collage like illustrations and its subtle yet intriguing interactivity." Awarded 5 stars and EAS Certification! "This is a magical story that will quickly become a classic amongst children. The quality of the app is fantastic and we can tell that great care has been taken to achieve an app that will enchant generations. 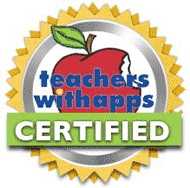 The app receives an EAS Certification of 5 Stars and EAS Recommended Status." Awarded a SILVER HONOR medal! "Rom and the Whale of Dreams...beckons young readers with an invitation to read, listen, and explore. The art direction, graphic and sound design, narration, and inventive use of animation techniques are beautifully integrated. This delicate work is elegant and enchanting, mystical and magical." "Rom & The otherworldly atmosphere is artfully reinforced by tap-activated animations... Beguiling (particularly for bedtimes), seamlessly designed and unusually feature-rich." "Rom & the Whale of Dreams exceeds expectations for its literary elements (such as rich vocabulary and well-crafted dialogue) as well as its technical and creative excellence; for these reasons, Fun Educational Apps makes it our latest Top Pick in the category of story apps for young children." "This app contains quality design elements that will make the reader feel part of the story. The narration and illustrations pull you in right from the beginning..."
"I predict Prince Rom and the Whale of Dreams will be an award-winning iPad story. It’s not just a magical story, but the illustrations and the navigation both are excellent. I highly recommend this app." "With an incredible story, eye-catching illustrations, and subtle interactivity, this is definitely among the best storybooks for kids available on the Apple App Store that will encourage the little ones to use their imagination. The collage-like illustrations,the dreamy story, and the mesmerizing background music will make all young readers want to come back and live the experience again and again." "Illustrations are spectacular and it is a great way to expose children to multiple languages as well." "With its eye-catching collage illustration, subtle interactive animation and ingenious storyline ... Rom and the Whale of Dreams delivers to the children an experience so unforgettable that they'd want to read it again and again." "While there are plenty of stories available for kids, not all are created equal and not all capture the attention and imagination of their readers..."
" 'Rom and the whale of dreams' has achieved a perfect score of 5.0/5.0 stars in Originality!"